Please note: Sifu Neil Brown is not currently taking on students. Celestial Dragon Temple Boxing kung fu was officially recognised in 2010 by the Amateur Martial Association - the largest multi style association of Martial Arts in the United Kingdom. Tianlong Temple promotes meditation and martial arts for self defence, and does not support in any way the actions of individuals or groups of any kind inimical and dangerous to society and the welfare of mankind. Martial Arts and Meditation in Yorkshire. 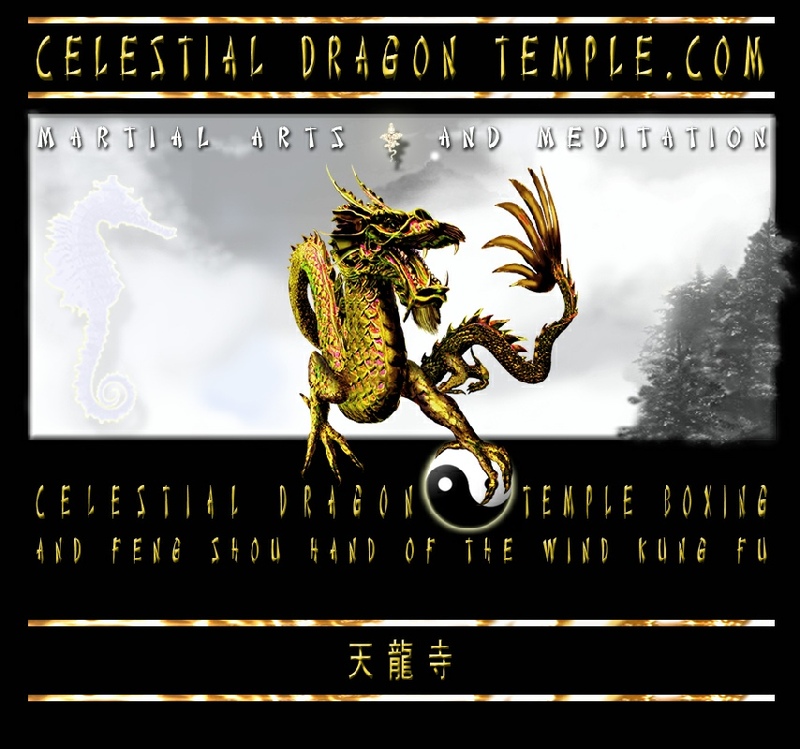 Celestial Dragon Temple Boxing, Meditation and Feng Shou (Hand of the Wind) kung fu.